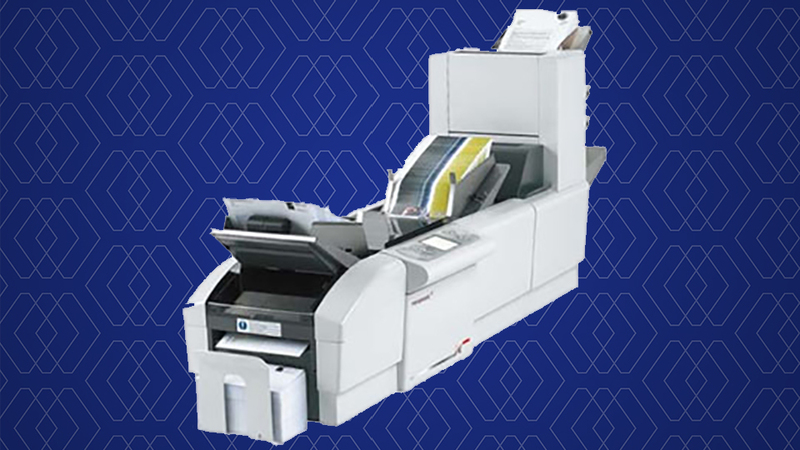 UniPrint makes bulk mailing easy! Simply send us the files you want posted and a database of who to send it to and we take care of the rest. have postcards merged to go directly into the post. Before printing, we can "address barcode" your database. By doing this and presorting the items we can arrange discounts of up to 30 per cent on the normal mail costs. With our range of folding and inserting equipment, we can automatically insert up to six items in either DLX, C5 or C4 size envelopes. UniPrint will lodge your mail out with Australia Post at the best available discounted rate via the UWA mail room and include postage and processing costs in a single journal transaction. For more information about bulk mailing, email UniPrint. This service is far more efficient and economical than using staff for low- to high-volume folding and inserting tasks.